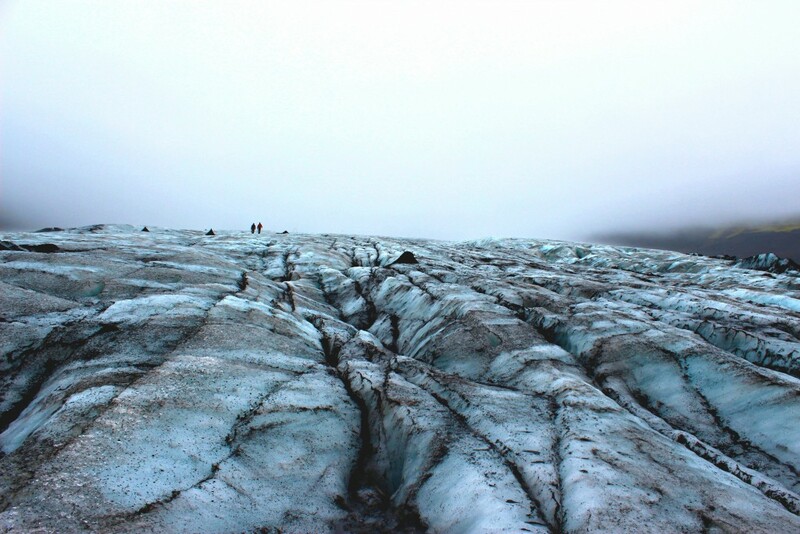 From the second I booked my ticket to Iceland I knew that I had to go glacier hiking at some point. 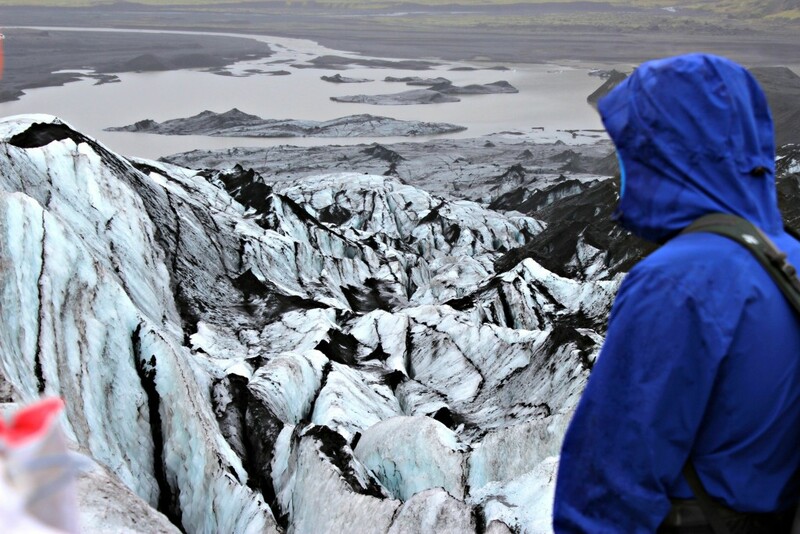 Lucky for me only two scenic hours away from Reykjavik lies the fourth largest glacier in Iceland and an ideal spot to hike. 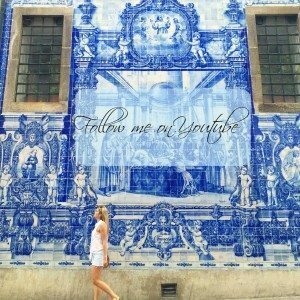 I booked my hiking tour the day I arrived and I was ready to go. 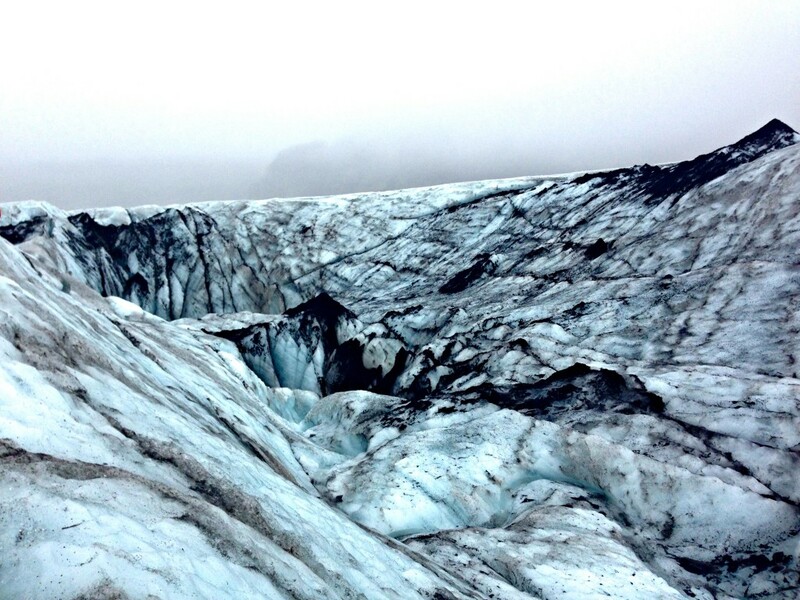 Early that morning we were picked up by the company and driven out to the base of the glacier. 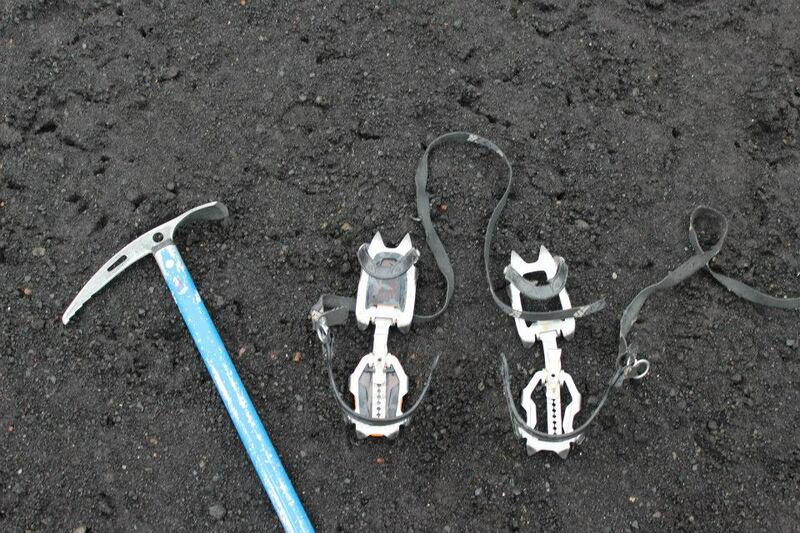 We were given crampons, a helmet, an ice pick, and detailed instructions of how to walk on the ice. Looking up at the glacier from the base was overwhelming because of it’s magnitude. Once we reached the top I felt as though I was on a different planet. 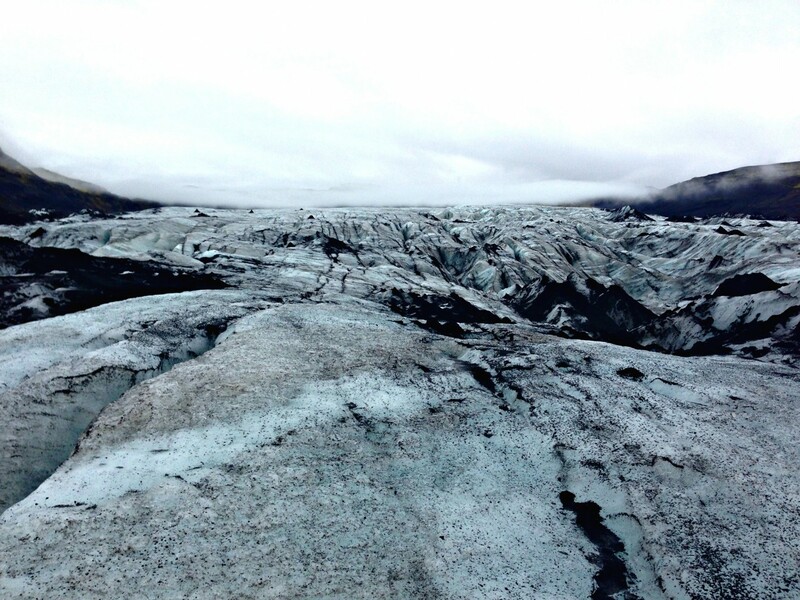 There’s an eeriness to the endless blue and black swirled ice that encompasses you. 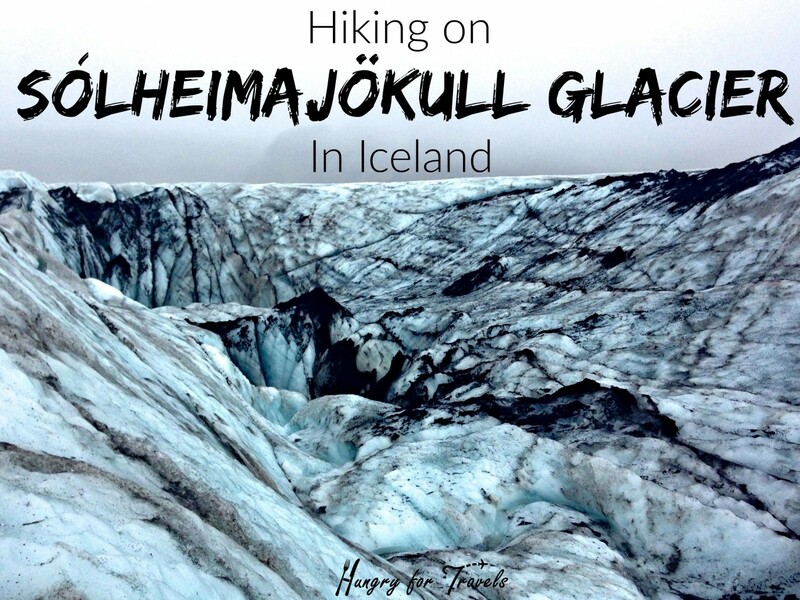 We walked around admiring the jagged ridges, deep blue crevasses, and towering ice formations all around us… all the while trying to not fall into them and die. NBD. 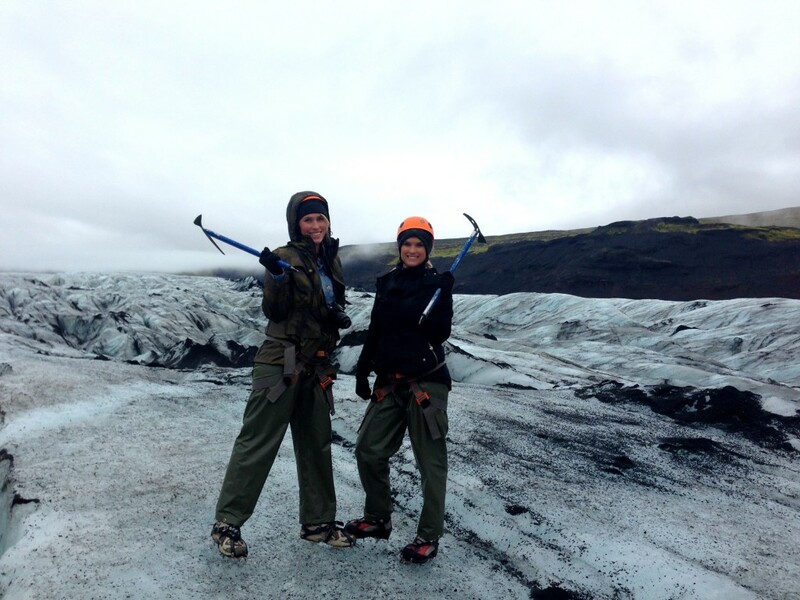 We came up to a towering ice wall and were told that we had the option to climb it. Being competitive as I am, I volunteered. 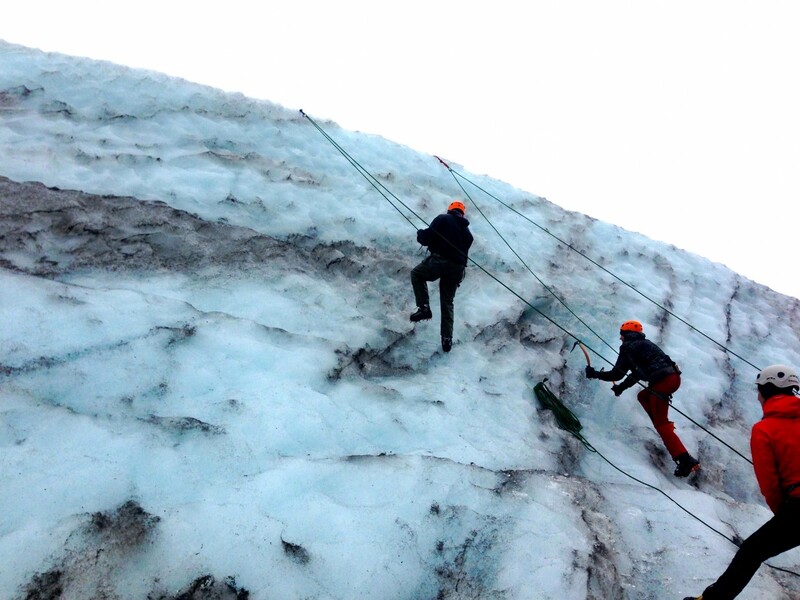 I was showed how to climb up the wall making sure my feet were flat and only stick the front two spikes in the ice and using my ice picks to propel myself up. 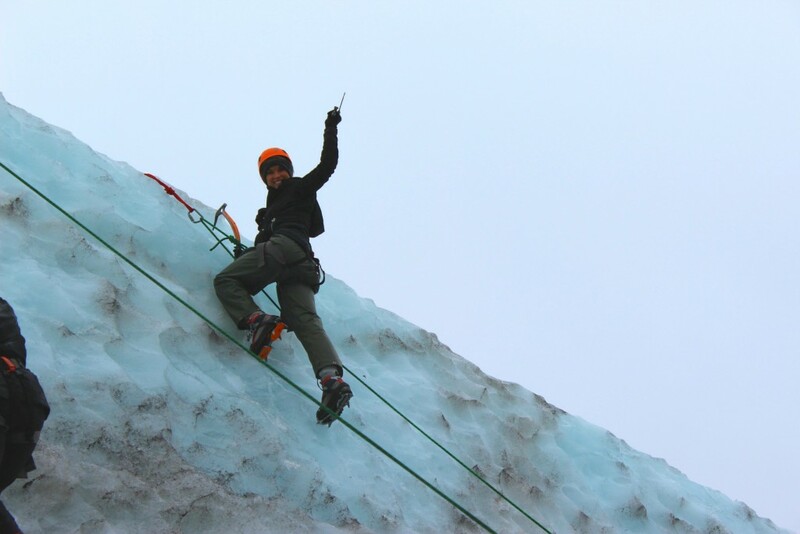 I made it to the top first (natural born athlete helloooo), kissed the ice, and rappelled down with shaking legs. The walk continued for about 2 hours exploring and learning about the history of this beautiful glacier. 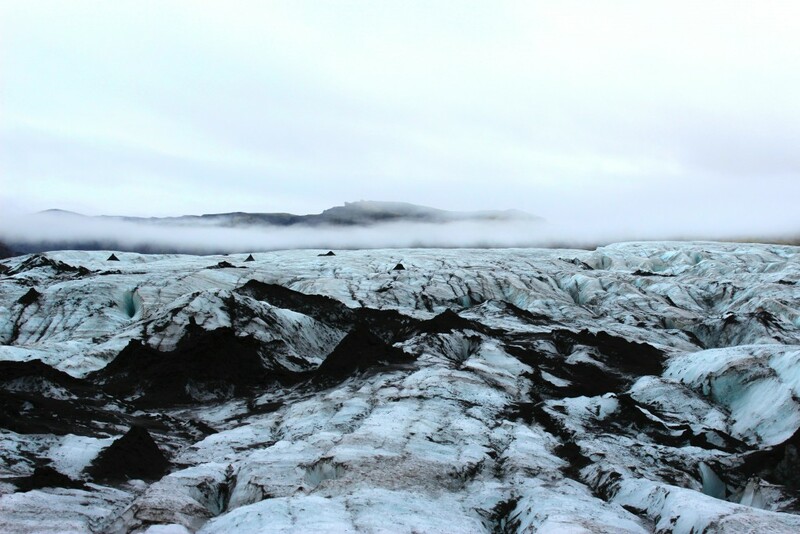 Hiking this incredible volcanic ash marbled area of the world was an incredible experience and one that I highly recommend anyone going to Iceland to do…. if you dare.